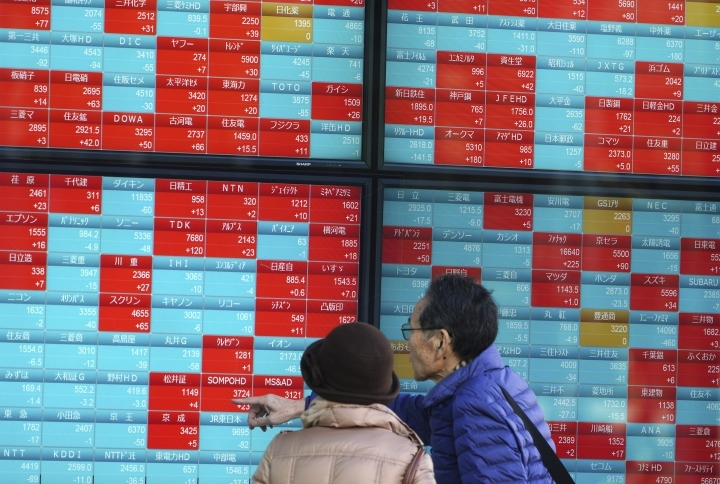 BEIJING — Most global stock markets advanced Friday while Japan edged down following Wall Street's rally after a turbulent week. KEEPING SCORE: In early trading, Germany's DAX rose 0.7 percent to 10,454.51 points and France's CAC 40 advanced 0.7 percent to 4,627.44. London's FTSE 100 added 0.1 percent to 6,655.09. 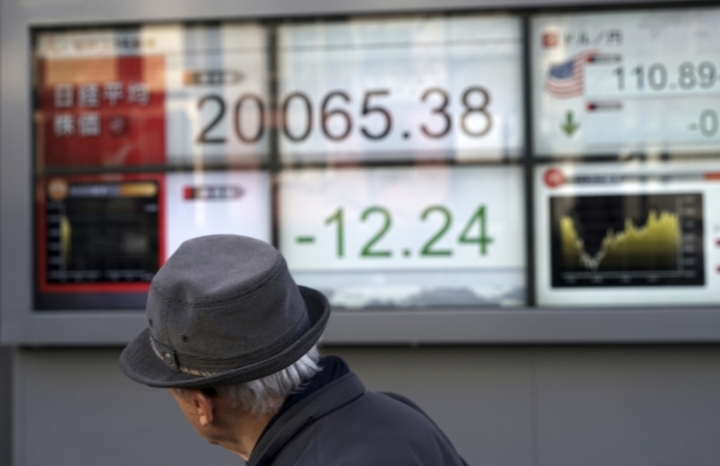 On Thursday, the DAX slid 2.4 percent, the FTSE 100 gave up 1.5 percent and France's CAC 40 gave up 0.6 percent. On Wall Street, the future for the Standard & Poor's 500 index declined 0.1 percent and that for the Dow Jones Industrial Average lost 0.3 percent. 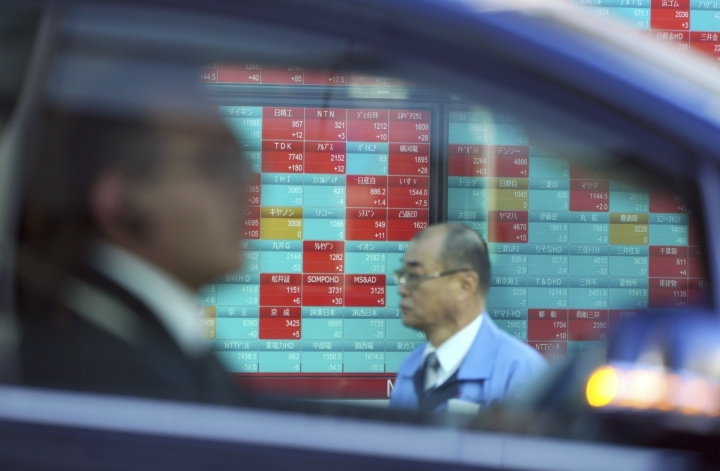 ASIA'S DAY: The Shanghai Composite Index advanced 0.4 percent to 2,493.90 while Tokyo's Nikkei 225 shed 0.3 percent to 20,014.77. 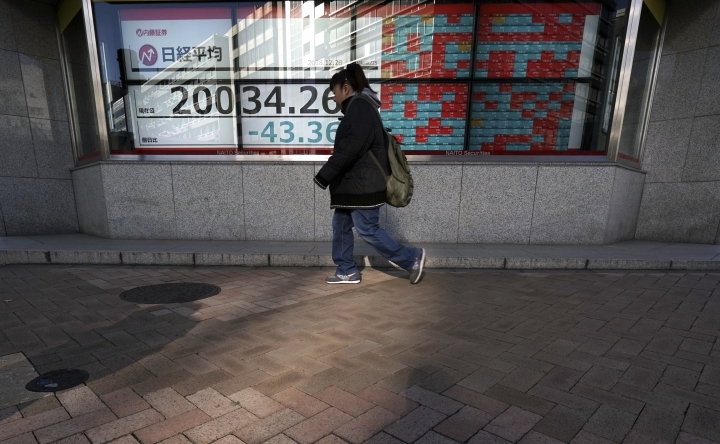 Hong Kong's Hang Seng ended up 0.1 percent at 25,504.20 and Seoul's Kospi added 0.6 percent to 2,041.04. India's Sensex gained 1 percent to 36,163.22 and benchmarks in Taiwan, New Zealand and Singapore also rose. WALL STREET: U.S. stocks staged a last-minute turnaround that put the market on track to end the volatile week with a gain. That followed its best day in 10 years. Health care and technology companies, banks and industrial stocks accounted for much of the gains. The S&P 500 rose 0.9 percent, the Dow gained 1.1 percent and the Nasdaq composite added 0.4 percent. The downturn that began in October has intensified this month, erasing the market's 2018 gains and nudging the S&P 500 closer to its worst year since 2008. Stocks are on track for their worst December since 1931. 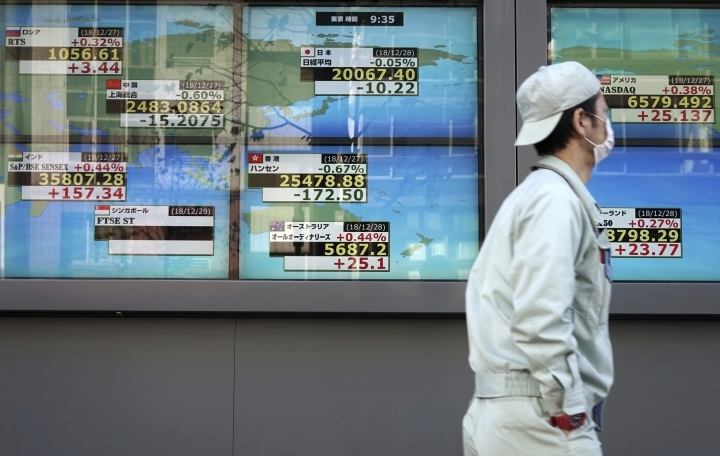 ANALYST'S QUOTE: The upturn might be due less to revived sentiment than to traders covering short positions at year's end in thin trading, said Vishnu Varathan of Mizuho Bank in a report. This "looks suspiciously like a dead cat bounce," said Varathan. "Rather than prematurely rejoicing over a dead bear (and return to a bull market), it may be far more sensible to worry about a dead cat (bounce) that could quickly fizzle and revert to a more prolonged price correction." JAPANESE FACTORIES: Japan's index of industrial production fell 1.1 percent in November compared with the previous month. Shipments declined 1.4 percent. Growth is below industry expectations, reflecting "weak external demand," said Harumi Taguchi of IHS Markit in a report. CHINA PROFITS: Profits at major Chinese industrial companies fell in November for the first time in three years amid an economic slowdown and trade tension with Washington. Profit for producers in steel, construction materials, oil, chemicals and equipment manufacturing declined 1.8 percent from a year earlier, a reverse from October's 3.6 percent gain. ENERGY: Benchmark U.S. crude jumped $1.34 to $45.96 per barrel in electronic trading on the New York Mercantile Exchange. The contract plunged $1.59 on Thursday to close at $44.61. Brent crude, used to price international oils, gained $1.35 to $54.08 per barrel in London. It fell $1.97 the previous session to $52.73. 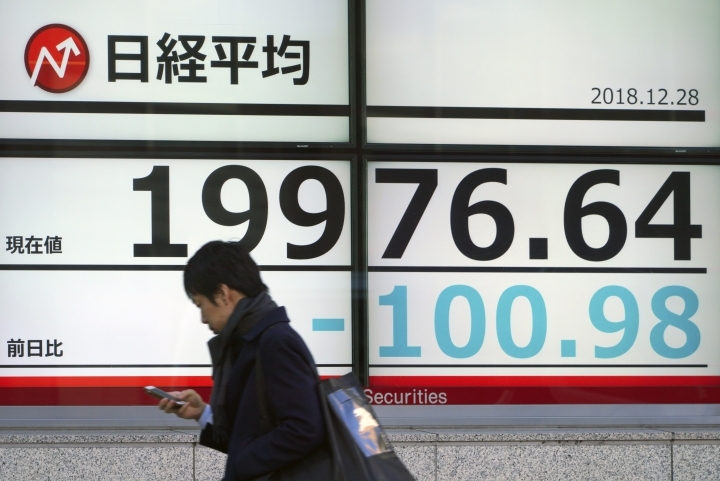 CURRENCY: The dollar declined to 110.47 yen from Thursday's 111.01 yen. The euro advanced to $1.1458 from $1.1430.